When travelling overseas, a Travellers Medical Kit is as necessary as SHOES. About half of all travellers experience a medical problem while overseas. Purchasing drugs in some countries can make you even sicker than you were at the start. Buying copy watches or copy handbags is one thing, but buying copy drugs can be REALLY dangerous. I once had a traveller who went to a pharmacy in the developing world and purchased some drugs for his cold. Luckily for him, his symptoms improved and he did not take the meds. He showed them to me when he got home, and was shocked to learn that the drug (chloramphenicol) is banned in Australia as it is a bone marrow poison. The treatment could have killed him! One morning, Meng Fanhui, a village doctor from east China’s Shandong Province, injected his 2-year-old granddaughter with an antibiotic he hoped would help cure her cold. Twenty minutes later she was dead. After his arrest, Meng confessed he bought the drug from a peddler to save a few cents. Tests showed the drug, although labeled as one of China’s best-selling antibiotics, was really a deadly muscle-relaxant. Market reforms have opened China’s health service to private drug sellers eager to cash in on the medical needs of some 1.2 billion Chinese. In the scramble for money, many are prepared to put profit before life and often sell lethal fakes. 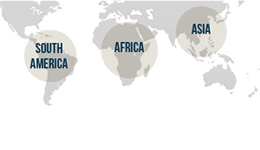 Roughly 50% of international travellers will develop a medical problem while they are away. Some parts of the world you will not have easy access to modern standards of medical care. A travellers medical kit is an invaluable part of every travellers’ luggage. Diarrhoea is notorious, but is not the whole problem. Many travellers carry diarrhoea pills and nothing else. Kits must of course be tailored to the individual, but you need to carry more than just the infamous Imodium or Lomotil. A travellers medical kit does not need to displace half your regular luggage. A travellers medical kit will fit inside a small lunchbox. A green cross on the outside of your medical kit is helpful as it is the international symbol for first aid. 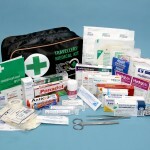 Travellers medical kits are available as a pack, or you can get the contents together yourself. Travel Medicine clinics often make up travellers medical kits cheaper than you can yourself. The contents of your medical kit should be individualised. What to take in travellers medical kit? Here is a video I made a few years ago on what to pack in a travel first aid kit. Sometimes there are particular problems for a destination e.g. altitude sickness. It is recommended visitors to some countries to carry their own needles and syringes. Emergency fillings / dental repair kiles and syringes as well. 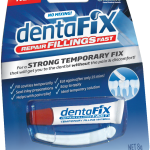 Some travellers may be recommended dental repair supplies in their travellers medical kit. 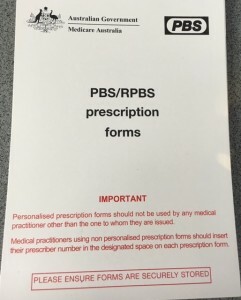 name of the drug, dose and food instructions, what it is for, your name and the date prescribed. 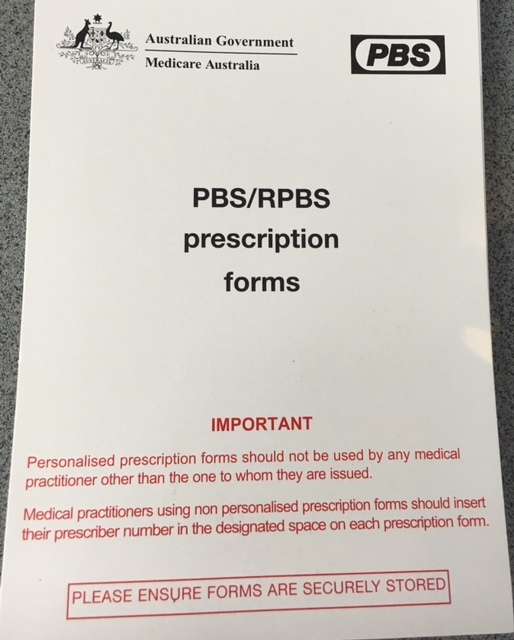 All travellers need a covering letter for their medications. This will prevent misunderstandings when customs opens your bag and finds little blue pills tucked amongst the shirts and socks. Some years ago a young traveller from Brisbane spent a few days in a greek jail due to a misunderstanding about the headache pills she was carrying. Packing a travellers medical kit can save you time and suffering. You can treat minor problems quickly and perhaps prevent them getting worse. It also means you do not have to perhaps mime your needs to non-English speaking doctors or pharmacists (particularly if you have diarrhoea or women’s problems… eeek – one game of charades you can do without). If you are travelling for business, it is especially important. Even minor illness can interfere with getting the job done. So pack you shoes and your travellers medical kit when you go overseas next time. Hi Deb! I brought one of these kits off you many years ago and it has been invaluable! All I have done since I initially brought it is up date it each time I go over seas – and I wouldn’t go without it! A few years ago I saw Dr Deb Mills ahead of an overseas trip and purchased a travel kit to take on a family trip to Turkey. It proved to be a life saver as I suffered a severe stomach bug on the trip in Istanbul and the antibiotics and other medications enabled me to continue on with a long bus journey from Istanbul down the Turquoise Coast. I would have otherwise had to stay in Istanbul until I was better, and would have missed the rest of my trip. The kit provided me with quick relief and the means to get on with my trip.